This guide is a compilation of resources on college planning, college reviews, and college entrance exams. Welcome to the GCLS College Resource Guide. This guide provides easy access to authoritative College related resources available at the Gloucester County Library System. Created by US News & World Report, this article explains a variety of scholarship scams and how to determine a fake scholarship from a real one. From Cappex, this scholarship search tool provides scholarships for students of all backgrounds. A search engine for scholarships, FastWeb also provides financial aid and career advice as well as college finder tool. Created by Peterson's, this search tool locates scholarships for graduate and doctoral students. 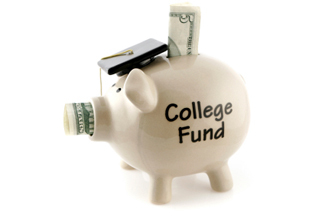 Provides a list of college scholarships. Provides advice and resources for locating scholarships for trade/vocational schools. Provides helpful tips on what high school courses to take, ways to strengthen academic skills, and a checklist of things that can be done as a high school student to prepare for college. From US News and World Report, this website ranks schools in major studies so that users can make a smart college choice. This website is a guide to planning for college. The college planning website provides students, families, education professionals with information on college selection, admission, financial aid and scholarships. From Psychology Today, this article provides 50 useful tips for the first-year college student. If you have been accepted to a college or university, you may need to take the ACCUPLACER as a part of the entrance process. This official website provides study tools to pass the exam. From the official ACT website, this provides sample test questions, test-taking tips, and test descriptions. This website provides users with passing college entrance exams. 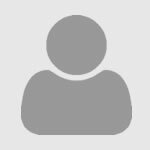 From the Educational Testing Service's website, this contains free test preparation materials for the Graduate Record Exam (GRE). Provides practice tests for college entrance exams. From the official Education Testing Service, this website provides links to paid and free test preparation materials for the TOEFL. A resource for over 500 continuing education classes including test preparation and general education. If you are preparing to enter law school, check out these official test preparation materials. The biggest difference is our one-of-a-kind ranking lists. Or, better put: 62 of a kind. We ask students (130,000 for this edition!) at the colleges in this book to rate their schools on dozens of topics and report on their experiences at them. From that student survey data, we tally the book's 62 ranking lists, each one revealing the top 20 schools in a category that an applicant -- or a parent of an applicant -- has told us matters to them. Want to know which colleges have the best career services? The most accessible profs? Are LGBT-friendliest? We have lists for each of these in our book. Another feature only in our book is our eight college rating scores. Using data we get from our college administrator surveys, we score each school from 60 to 99 in eight categories including financial aid, admission selectivity, and fire safety. The following titles are available in the Reference Department at the Mullica Hill Branch of GCLS. Peterson's Two-Year Colleges 2016 includes information on more than 1,900 accredited two-year undergraduate institutions in the United States and Canada, as well as some international schools. It also includes detailed two-page descriptions written by admissions personnel. College-bound students and their parents can research two-year colleges, including community colleges, for information on campus setting, enrollment, majors, expenses, student-faculty ratio, application deadline, and contact information. In addition, Two-Year Colleges offers articles that cover tips on transferring, advice for adults returning to school, "green" programs at community colleges, the basics of financial aid, and much more. The all-important FAFSA form is explained with step-by-step instructions, and the College Board’s CSS/Financial Aid PROFILE® form is explained by the people who administer it. The guide includes information and advice from experts on how to apply for aid, plus easy-to-compare college profiles giving the “financial aid picture” for more than 3,000 four-year and two-year colleges and technical schools. The guide also shows award amounts and scholarship requirements. 2015 edition available at Mullica Hill. 2016 edition available at Logan and Glassboro. Covers every college major identified by the U.S. Department of Education—over 1,200 majors are listed in all. This book also shows what degree levels each college offers in a major, whether a certificate, associate, bachelor’s, master’s or doctorate. This valuable resource includes information on every accredited four-year undergraduate institution in the U.S. and Canada (and many international schools)-more than 2,600 institutions in all. It also includes detailed two-page descriptions written by admissions personnel for over 300 colleges and universities. College-bound students and their parents can access details including campus setting, enrollment, academic programs, entrance difficulty, expenses, student-faculty ratio, application deadline, and contact information, as well as the most frequently chosen baccalaureate fields.